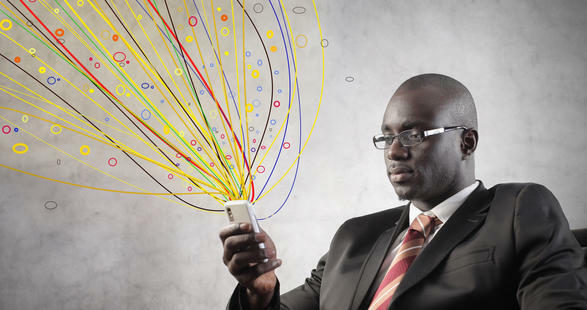 Mobile innovations are the future of technology in Kenya. Since the entry of mobile in the late 1990s, a lot of vibrancy, growth and currency has been realized in the Kenya I.T & telecoms sector. In the 6 months of January to June 2014, mobile operators Safaricom, Airtel, Yu and Orange networks amassed 900,000 new subscribers to their networks. The national mobile subscription, as per the latest Communications Authority of Kenya report, stands at 31.8m. Consequently, this creates a ready market for techpreneurs who are keen on mobile. With such a huge market the reach, the impact and demand for local tech startups will penetrate both urban and rural markets. More mobile-centric innovations by local tech startups would build a more vibrant, stronger I.T & telecoms industry. In a new report called Digital Entrepreneurship in Kenya 2014, the GSM Association highlights the mobile ecosystem as a key driver of GDP growth in Africa with very positive estimations of around 6.3% GDP additions to the economy and the industry creating 6.6 million jobs. This makes mobile operators and mobile tech startups the biggest attractions in the coming years. This is because first and foremost the telecoms industry is progressing and secondly, the statistical growth projections remain favourable and positive. Mobile tech innovations are indeed what Kenya and the continent needs. The US of A has transformed its entire economy on the basis of information technology. Computers in America are an indispensable asset for the citizens, almost like how mobile phones are so obligatory for Kenyans and Africans. Kenya has one of the highest penetrations of mobile technology in the continent with 79.2% mobile penetration. That translates to 31.8 million of Kenyans walking around with mobile devices. This means a ready market for techpreneurs and their mobile innovations. In Kenya, mobile innovations hold promise of higher scalability because of a greater availability of mobile devices and mobile users. Mobile tech innovations have the greatest potential for adoption this side of the hemisphere. You know tech startups are just little dare devils trying to rock the market with a product that people may not need. That’s a huge risk. But that is exactly how we ended up with cool products like the iPhone, iPod and the smart watch. Because we (Kenyans & Africans) are a mobile-ready market, then it makes much sense to risk it all with mobile innovations. Be it mobile apps, games, mobile Point of Sale systems etc impacting the health, entertainment or whatever sector their likelihood of a wide reach is highly likely in our mobile-centric market. Therefore the future is mobile. The rock stars of tech are mobile. That’s where the buck is. And the fame is there too. The current reality may not be as glamorous, but that’s no reason to back down. Mobile tech innovation in Kenya and Africa have the highest likelihood for the widest impact, greatest adoption and a much more ready market. Mpesa has shown us the way. Keep the innovation flowing.